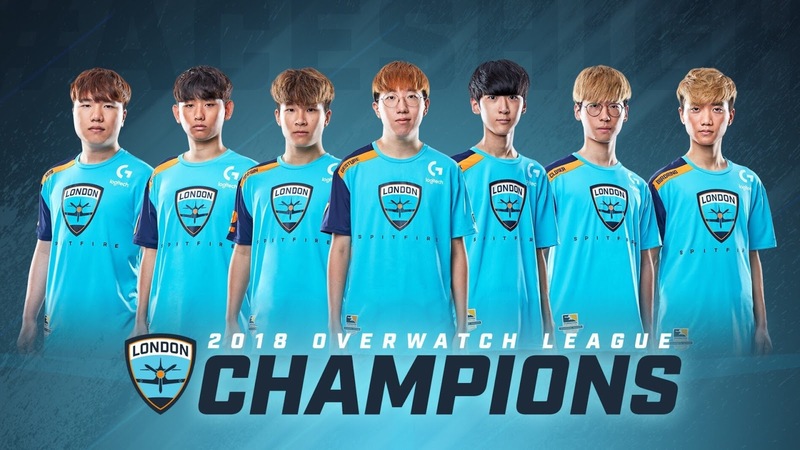 As of February 14th in Burbank, California, the 2019 season of the Overwatch League beings with the London Spitfire starting the defence of their inaugural league title against the team they beat in the Philadelphia Fusion. While the off season has been a busy time for most teams around the League, London have had the rare opportunity of only requiring to make a few moves to the team that many consider as one of the strongest. While London’s moves haven’t been the flashiest to some people around the league, the moves they have made have been thought out and planned to help them once again, win the Overwatch League. Today we will be looking at all six moves the organisation has made this off season. 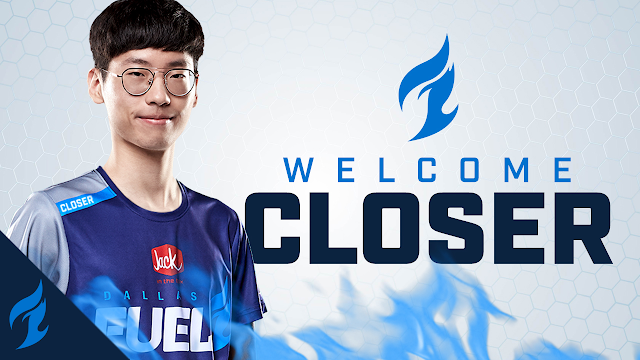 The first and only player to leave the Spitfire this off season, was Main Support “Closer”. Having joined the team alongside his Gaming Club Busan teammates, after winning Apex Season 4. Closer found playing time more sporadic as the season went on, despite having one of the better Mercy’s in the League last year. After evaluating his options during the off season, Closer decided that he wanted to explore his options and with the team’s permission trailed for Main Support starting positions. This led to the Dallas Fuel trading for his contract and Closer likely to be their starting Main Support. When Susie joined the Spitfire as their first GM, there was scepticism from the fan base in regards to how well she would do. Susie has a wealth of esport experience, but fans were unsure how this would translate to being an OWL GM and some even thought it was a bad move. How wrong they were! Susie came in and wasn’t afraid to make the big moves required to help the team out. From moving them out of the apartments and into the team house, to the difficult decision of allowing HaGoPeun, Hooreg, Tizi and WooHyaL find other opportunities before releasing them. Susie came in during a point that London needed her and brought a fractured team at the time back together. Her best move was also her most underrated one, when she managed to re-sign Strategic Coach Agape at the start of stage four and had with with the team after working remotely, by the end of that stage. Susie not only excelled as a GM by bringing the first OWL Grand Final Trophy to London, she also helped the team engage with the Spitfire fans on stream and in person with the Gilded Gala. Susie has now stepped up to join owner franchise Cloud9, as their Director of Youth Esport Education and Training. "Hey guys, though my role has shifted, it doesn't mean that I'm too far away! Being GM for this team last year was a blast. It was fun to watch them come together in the end and win it all - and I have no doubt in my mind that Robin will be able to continue to run this ship smoothly. Always and forever, #AcesHigh"
With the General Manager position becoming an open position after Susie’s move to Cloud9, there was only one person who could fill the gap, that man is former Team Manager Robin. An underrated part of last season’s championship winning team, Robin has a vast amount of esports knowledge of how to manage a team. 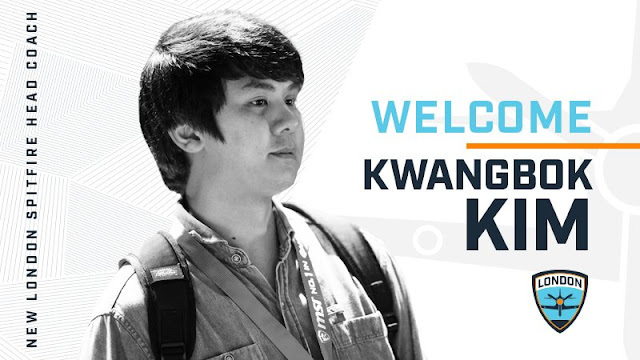 He was with Cloud9 LoL for 1.5 years, working with Reapered, Impact, and Ray to facilitate Korean-English and vice versa communication between teammates as well as between the head coach and the players He joined the Spitfire as team manager at the start of last season and has become of the most likeable people in the team. He’s now ready to take the next step up and will provide valuable leadership going into the 2019 season. “The 2019 season of OWL is going to be incredibly exciting. Coming back as the first and previous champions, the Spitfire squad will have some high expectations to meet. I am fully confident in our players and coaching staff, both old and new, to be able to meet and exceed said expectations. I will be doing my absolute best to fulfil the needs of the team, and facilitate a smooth and healthy season for the players"
When Susie was looking to hire a full time replacement after Bishop's departure in stage two, her main target for a coach was to have experience above all else, she managed to achieve this in hiring former MVP Space coach 815. 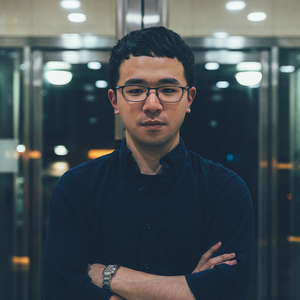 Having started coaching back in 2007 during the prime of Starcraft: Brood War where he made his name, he then moved on to Starcraft2, coaching the legendary team in StarTale. Prior to becoming MVP's Coach in Overwatch during APEX, he coached in Heroes of The Storm. 815 comes in prepared and ready to elevate London to an even higher level and is currently one of if not the most storied and experienced coach in the league. The first of two new signings this off season, Guard comes over to London from top Korean Contenders team Element Mystic. Guard is a hitscan DPS player who's most known most notably for his performances on Sombra and Tracer while playing in Korea, he's also able to play Pharah to a decent level, filling a much needed hole in the DPS core along side Profit & Birdring. Expect Guard to be utilised early and often by the team as he will allow Profit and Birdring to hold the Carry DPS role and provide them with enough support to cause opposing teams a problem. If Sombra or three DPS become meta, expect Guard to come into his element. The youngest player on this season's roster, Krillin was one of the more surprising pick ups by a team this off season. Having played in the Open Division for Korean Contenders team CRusher, Krillin was a stand out performer during the teams open trials when they were looking to fill the position left by the departure of Closer. A flex support who is most known for his ability to play Zenyatta and Ana, Krillin is as the team put it "A Diamond in the rough" and will allow Bdosin to flex onto other supports, while he will allow NUS to play his more measured style of play. In the first week of the 2019 season, the Spitfire face two rivals, one new and one old. First team into the firing line will be the Philadelphia Fusion, the team that London beat in the 2018 Grand Finals. London and Philadelphia's rivalry started in stage two when the Fusion came back from 0-2 down and reverse swept out of the semi final game. Since then the two teams have been back and forth with results, however with London winning the finals in dominating fashion. Philadelphia will come in to Thursday nights (Friday Morning for Europe) with a chip on their shoulders. The second game of the week come in the form of new Expansion team and rival in the Paris Eternal. This will be the first official battle of Europe in the Overwatch League and will she the Korean built Spitfire take on the home grown Europeans of Paris. With many European fans feeling that London doesn't represent them, Paris will have a lot of expectations on their shoulders, to down the Spitfire and prove that the EU way is the best way. If you're like myself and are just looking forward to seeing the games return this week. Then make sure that your tuned in and watching from 12 am BST (1 am CET) Friday 15th January.